on one of my other 88 Rx7 GXL's the Stock Alarm Went Haywire, so i basically bought a Nifty Excalibur AL2000 EDP. Question is.. What are Most of the wires on that Harness to? Where do they connect or is it any use to me as far as hooking in a New Alarm. I really Dont want to Rewire the Entire 7. Ive also Searched around and found nothing on the subject. Any help on the Wire color code and layout would be Extremely Helpful! 2 links I found when researching my own alarm install. Good luck. Are these the same for 91 S5 NA ? 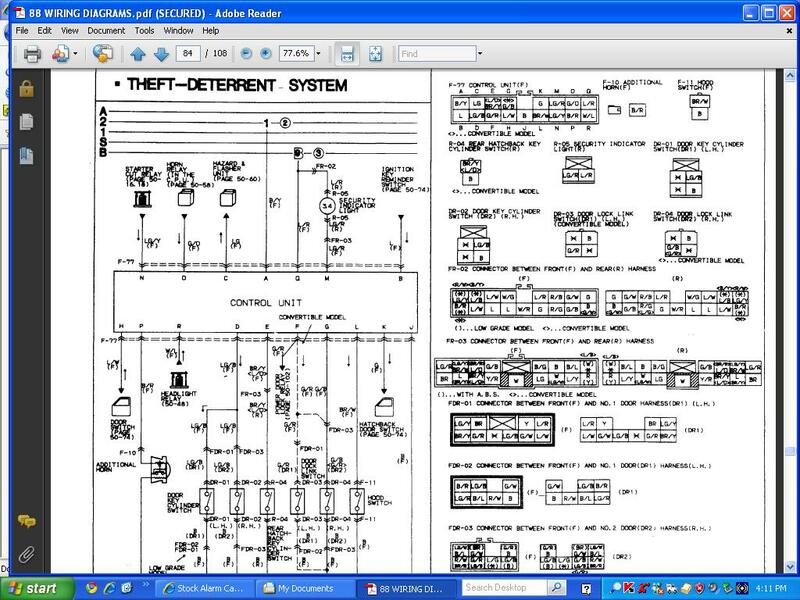 What and where the stock wires go is shown in the free online manuals. Sounds like the unit your replacing it with does next to nothing worthwhile.